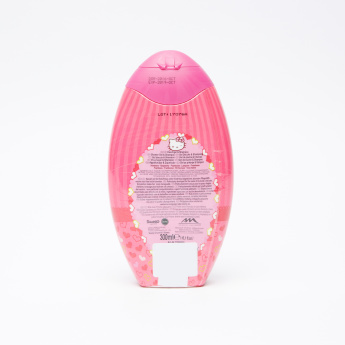 Hello Kitty 2-in-1 Shower Gel and Shampoo - 300 ml | Multicolour | Gentle to baby delicate and sensative skin. Encourage your little one to take bath daily by getting this shower gel and shampoo. The gentle formula cleanses the deeper layers of your baby's skin and leaves it soft and nourished. Feature 1 : Gentle to baby delicate and sensative skin. Feature 2 : Let your little one enjoy your bath timewith their lovable character.